-Instead of the USF or BULLS wordmarks, we opted for South Florida. This is notable because there was a time when we were style guide sticklers for USF like our neighbors to the east, despite literally spelling South Florida in our fight song. 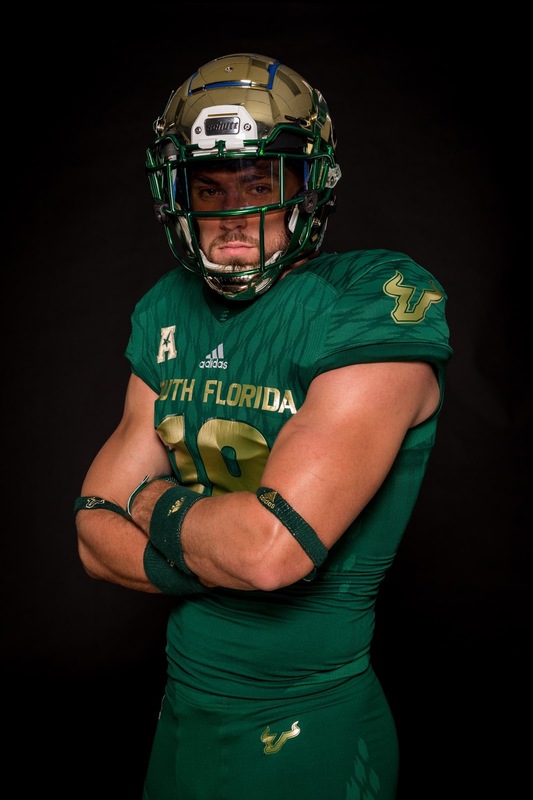 While I fell in lockstep with the university branding for years, I welcome South Florida, especially since it will hopefully stave off some of the "UCF-I mean, USF" we get now. -We went with metallic gold instead of the university color gold (khaki). There's a thin line between lame and lamé, but I think I like it, especially with the helmet. -Gold/Green/Green has always been my favorite home look. All in all, the look is solid. 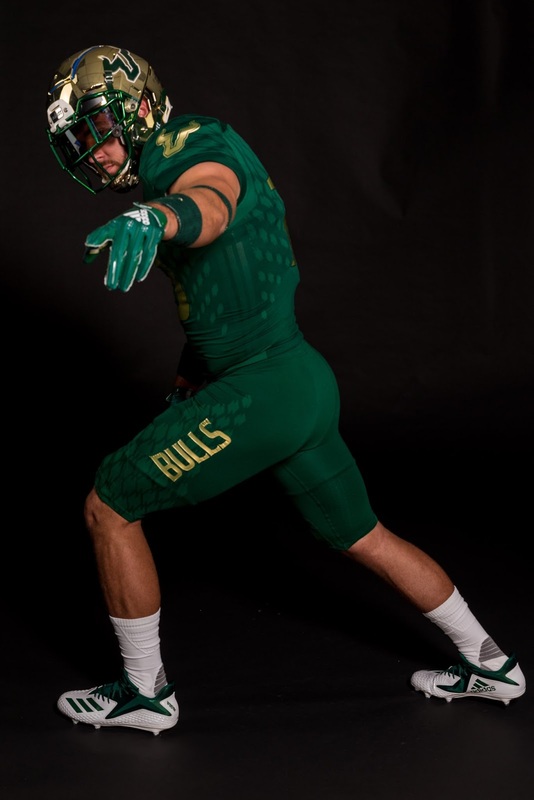 In our history, USF uniforms haven't been too up or two down (with perhaps a notable abomination or two) and I don't think this changes that. There's some unnecessary textured/scaly bits because Adidas gonna Adidas, but overall, I'm for it. Can't wait to see what else we've got!